Music clip collection release from anime series Macross Frontier featuring eight music clips and popular scenes from TV series and theatrical features. Also includes newly-created footage such as interview with Ranka and Sheryl and TV spot starring Ranka plus choreography footage starring 3D character version of Nakajima Megumi & May'n. If you loved Macross Frontier, more so for its music and overall design. Give this a watch! I dont think you can find it subbed, even so, you dont need it to enjoy this 38 minute thrill ride. 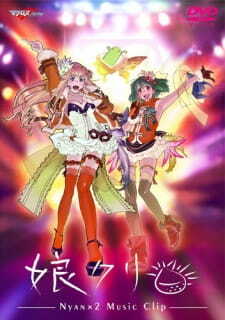 A must watch for all Macross Frontier fans!